BRYAN EATON/Staff photo. 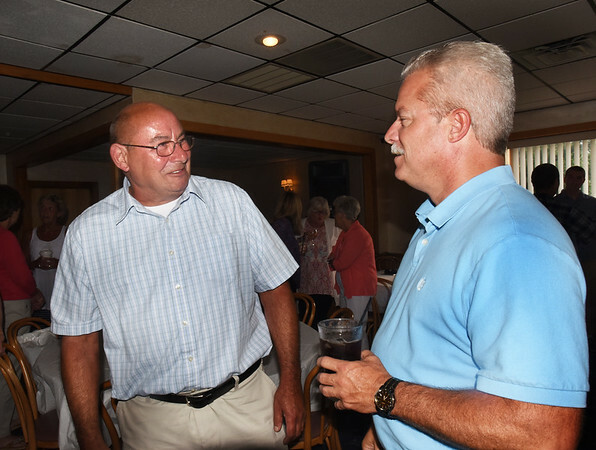 Recently retired Salisbury fire chief Rick Souliotis, left, is congratulated by Newburyport fire chief Christopher LeClaire at a retirement party at the Hungry Traveler attended by town officials, friends, family and fire fighters from surrounding communities. Souliotis started his career with the department 38 years ago.